John was a 3 time all American and the first University of Colorado athlete to achieve the honor in one school year. He was an integral part of the CU Track and Field team from 1971-1973. He holds the world record in Distance Medley for Type D track with team mates, Mike Peterson, Brown Windell and Ted Castenada. John was a member of the 1973 US Pan Pacific Team. Two time (74’ & 75’) Colorado Track Club USA Cross Country Champion and placed second in the 1975 National Cross Country Championships. 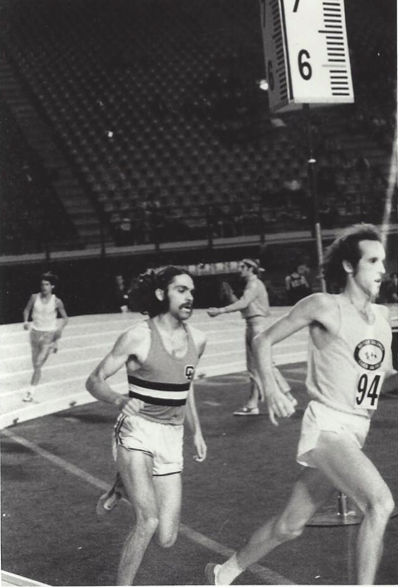 In 1975 he was a member of the Pan American Team for the USA and in 1976 he was an Olympic Trials Qualifier in the10K and 5K. His most proud accomplishment is setting up a Nike bonus structures for athletes competing nationally. Locally, from 1986-2013 John was the head coach for the cross country and track and field teams at George Washington and South High Schools. John won two State Championships in track and placed third in state cross country. Currently, John is working at The Colorado Rockies and Frontier Airlines in the Sports Charter Division.